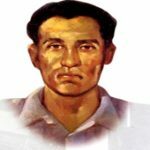 Muhammad Ataul Gani Osmani was a paramount freedom fighter of Bangladesh Liberation War in 1971. During the liberation war, he was the commander-in-chief of the Bangladesh Forces. Osmani started his military career with the British Indian Army and then worked in Pakistan Army. The head of the Bengali armed resistance appointed by the Provisional Government Kwon as Bangabir across the country. He joined the politics after retired and became a cabinet minister in the government of Sheikh Mujibur Rahman. M.A.G. 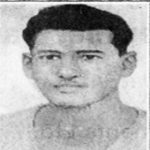 Osmani was born on September 01, 1918 to a landowning family in Sunamganj, Sylhet to Khan Bahadur Mafijur Rahman and Jubeda Khatun. His father was a sub-divisional officer in Sunamganj Sadar. He was youngest of three children of his parents. Osmani rotated in different places of the country due to his father job. He studied at Cotton School in Sylhet. In 1934, he passed matriculation from Sylhet Government Pilot School. He won the Pritoria Prize for excellence in English. 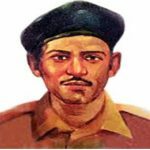 Osmani enrolled at Aligarh Muslim University and graduated from the university in 1938. 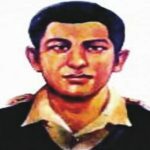 Following the year, he joined the Indian Military Academy as a cadet. Muhammad Ataul Gani Osmani kicked off the career journey by joining in the British Indian Army. During the Second World War, he fought in Burma. In 1947, he was promoted to lieutenant colonel. 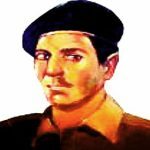 Following the separation of India, he joined in the Pakistan Army and was promoted to acting lieutenant colonel on January 7, 1948. 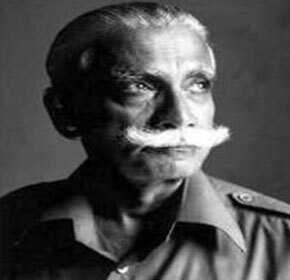 He served Pakistanis Army with some leading officer later all of whom led the Pakistan Army against his Bangladesh forces in 1971. M.A.G. Osmani joined All Pakistan Awami Muslim League in 1970, leading by Sheikh Mujibur Rahman. He was elected member of national assembly from the Balaganj-Fenchuganj as a candidate of Awami League. Again he came to the military arena elected commander-in-chief of Bangladesh Forces by the Provisional Government during the liberation war. Mukti Bahini won the historical war over Pakistanis under the leadership of him after nine months. Muhammad Ataul Gani Osmani was diagnosed with cancer at the CMH (Combined Military Hospital) in 1983, at age 65. Later, he was flown to London for better treatment at government expense. At the St Bartholomew’s Hospital, he received a number of visitors. 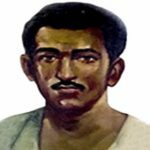 Osmani died on February 16, 1984, in the London’s hospital. 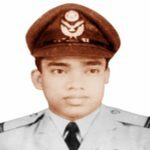 His dead body was flown to Bangladesh and buried beside his mother graveyard in Darga, Sylhet with full military honors. Osmani International Airport in his hometown Sylhet has been named after him. MAG Osmani Medical College and Osmani Museum also named his honor.